The Call We Didn’t Want – Can’t Forget! It has been four years since we got that call – but the memory is still fresh in our minds. After that phone call I stopped blogging for several months. But finally, I realized that is not what Keith would have wanted. Today – we still remember not just that terrible phone call – but we recall the memories we have. For my husband the memories are multiple. Keith was his first born. 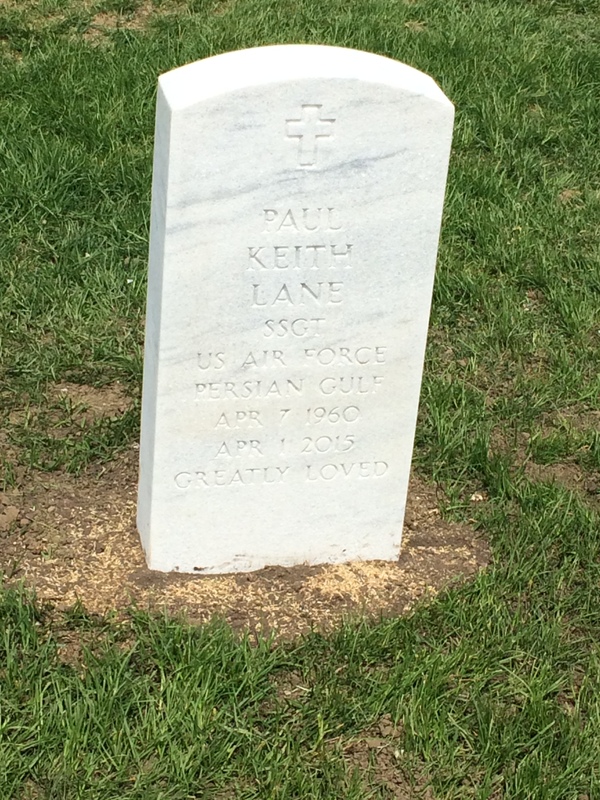 Named Paul Keith he was known to all but the family as Paul – but to us he was Keith. I did not meet Keith until a few months after I married his father. Keith was 24 at that time. Paul’s daughter, Loretta, was very ill and in the hospital. Paul had flown down immediately to be with her. I waited until our son, Will, could get home from college so we could fly down together. At the Dallas airport I asked them to page Paul Lane to meet us at the main terminal. I was quite surprised when Keith walked up and said “I’m Paul Lane.” What a way to meet your step-son. But step-son is not a word I like when talking of Keith. I came to love him as my own and I’ll never forget the day he asked if he could call me “Mom.” Memories of all the times he came to visit and the close relationship we were able to build are mine to treasure forever.. He loved to cook and when he would visit he always made the best potato salad in the world. We had a red bud tree planted near his grave in his memory. Here is what I wrote when I began blogging again. I last posted on my blog in April. While we were on vacation, we got that unwanted, unexpected phone call in the night. A police officer called to tell us that our son had been found dead in his apartment. While we knew he was not in good health (a disabled veteran) and would probably not live to be an old man, we still did not expect to be planning his funeral. As my husband sadly said, “No one should bury their own child.” Yet, we know that many do – some burying their children at a much younger age than our son. Confessionns of a Scrabble Addict (https://barblaneblog.com/2015/02/22/confessions-of-a-scrabble-addict/) . But suddenly we no longer wanted to play. It was as if continuing with our favorite game was somehow to make his death seem unimportant. Every time I sat down to blog, I could not decide on a subject. Should I continue to write about the silly, every-day part of my life. How could I do that when I’m supposed to be grieving? Should I continue to write on more serious subjects. I just did not have the heart for that. So – I stopped blogging. But the world does NOT stop turning. But, even if we would like it to, the world does not stop turning. Life goes on – and that is a good thing. While we will always miss and grieve the loss of our son, we are so blessed with other children, grandchildren and great-grandchildren. We do no service to his memory to stop loving life. So – tonight we are going to play a game of Scrabble and I am returning to my writing.